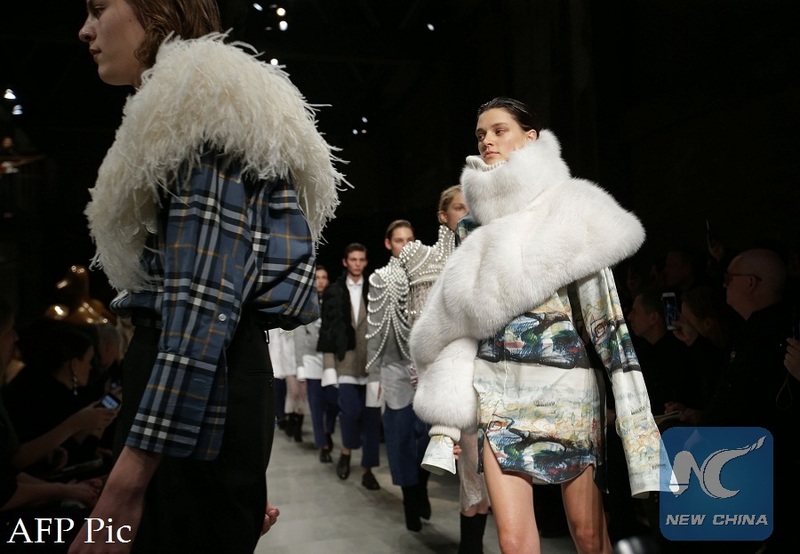 LONDON, Sept. 7 (Xinhua) -- London Fashion Week will be the first main fashion show to ditch the use of animal fur, the British Fashion Council (BFC) announced Friday. A statement by BFC said that the decision comes following a survey conducted with all London Fashion Week designers on the official catwalk and presentation schedule, which showed no animal fur will be used at London Fashion Week September 2018 scheduled to open next week. It said the survey results reflect a cultural change based on ideals and choices made by designer businesses, international brands as well as consumer sentiment but also encouraged by the stance of multi-brand stores who are moving away from selling fur. "As representatives of the British fashion industry, the BFC supports the creativity of designers and keeps an open dialogue with the industry, from designers to media, retailers, business leaders, government and global brands while encouraging designers to make ethical choices when it comes to their selection of materials and supply chain," said the statement. According to statistics provided by The Guardian, numbers of anti-fur protesters demonstrating at London fashion week has risen from 25 in 2016 to more than 250 last September. Over the past few years, more and more fashion brands, such as Gucci, Michael Kors and Versace, decided to use alternative materials to real fur. British brand Burberry also announced it had implemented a fur-free policy with all remaining fur items being phased out. Earlier this week, the British animal rights group Peta published an open letter to the BFC, asking its chair Stephanie Phair to take a stand on behalf of the organization and introduce a fur-free policy.